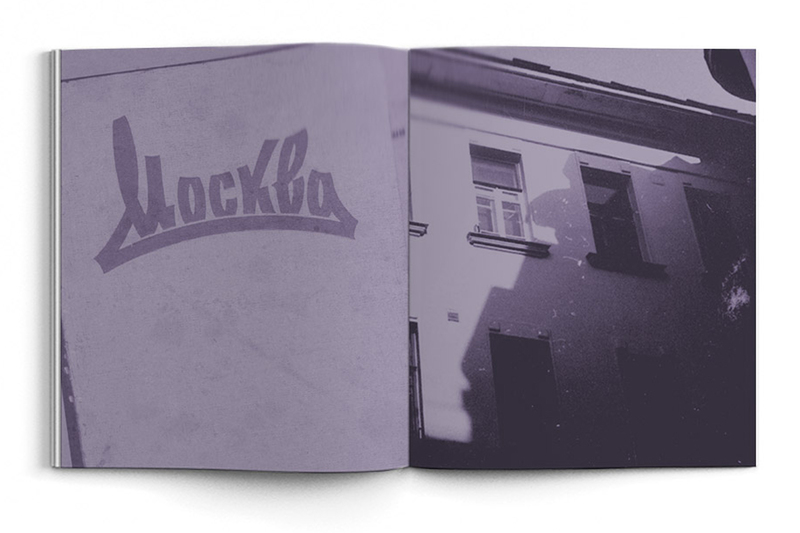 During the Soviet Era the Odd Flat was closed for the writer's admirers: first it was a communal apartment and later it housed an office. 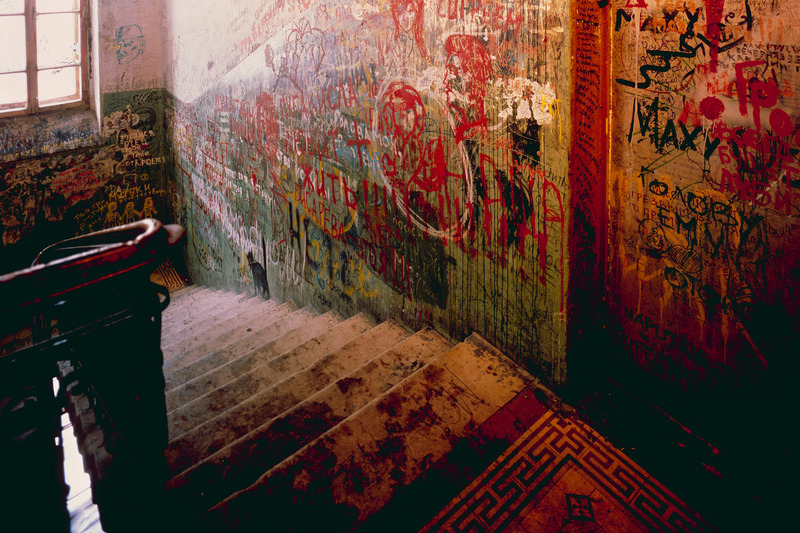 Since the 1970s people started coming here just to see the closed door, to sit on those steps, to recollect their favourite quotes from the Novel, to sing and to dream. 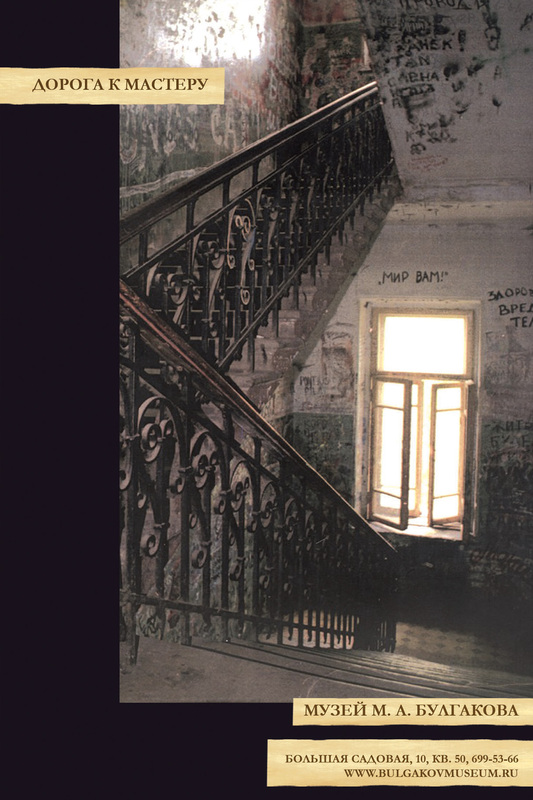 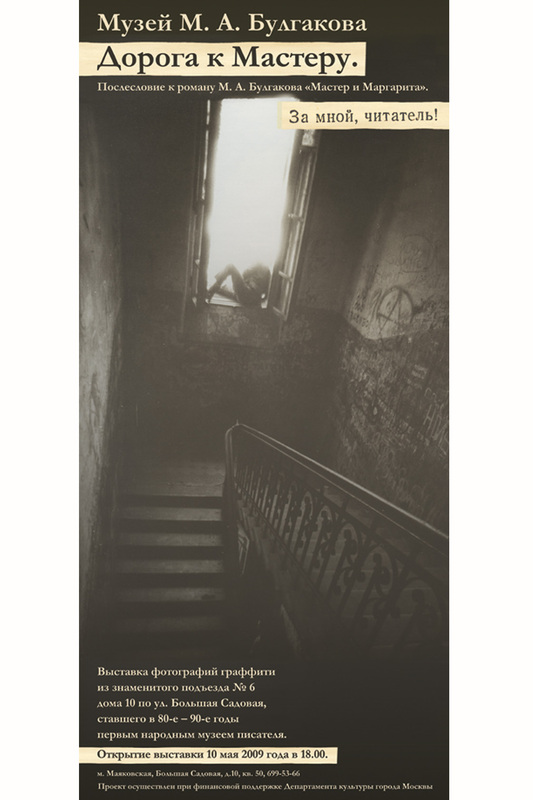 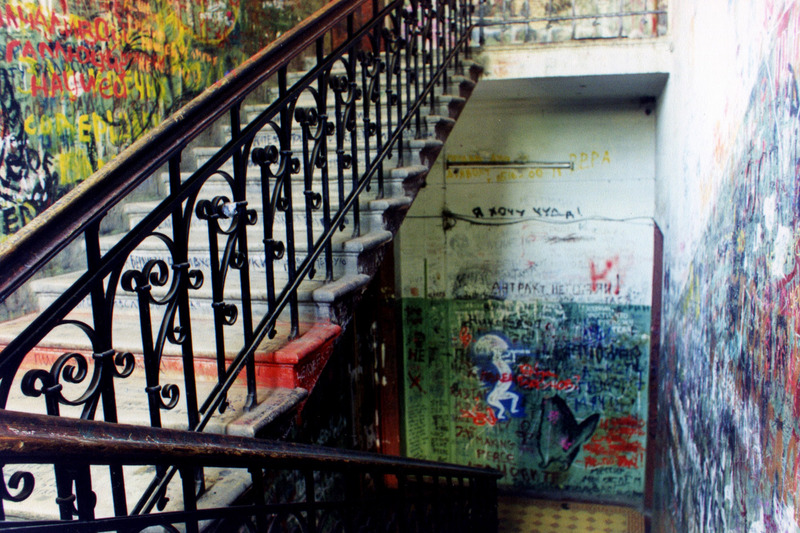 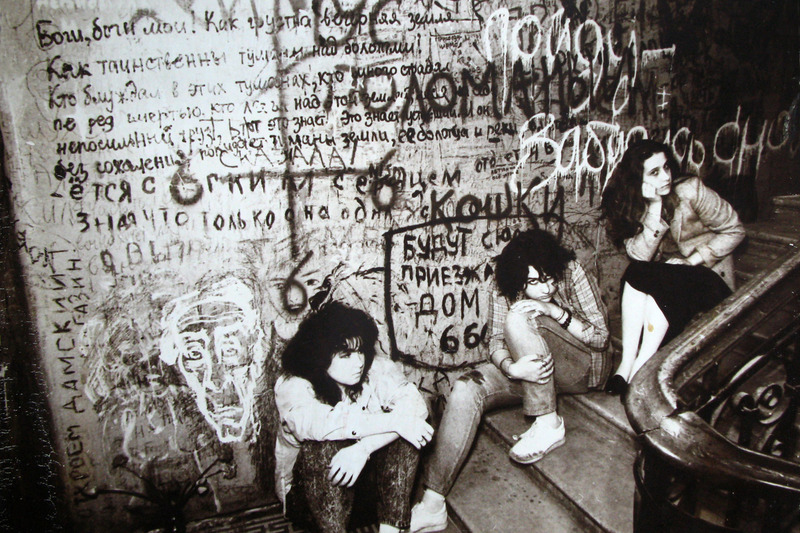 The stairs became one of the unofficial cultural centers of Moscow of 1980–90s. 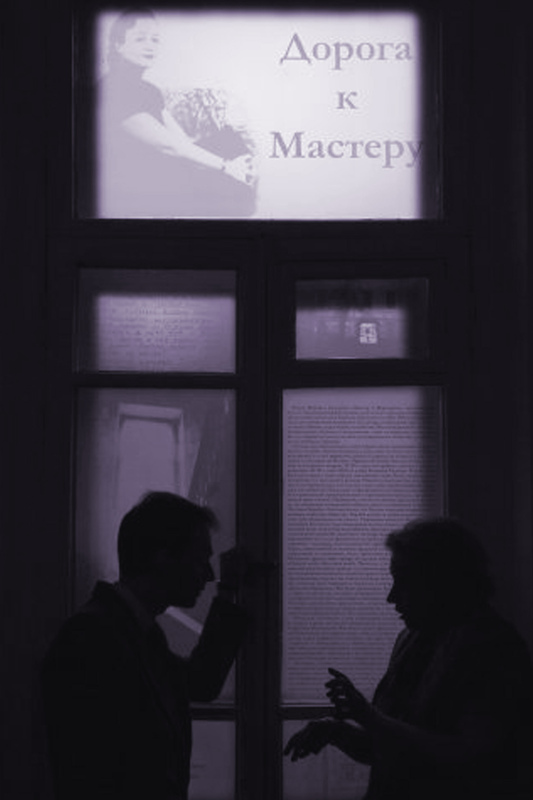 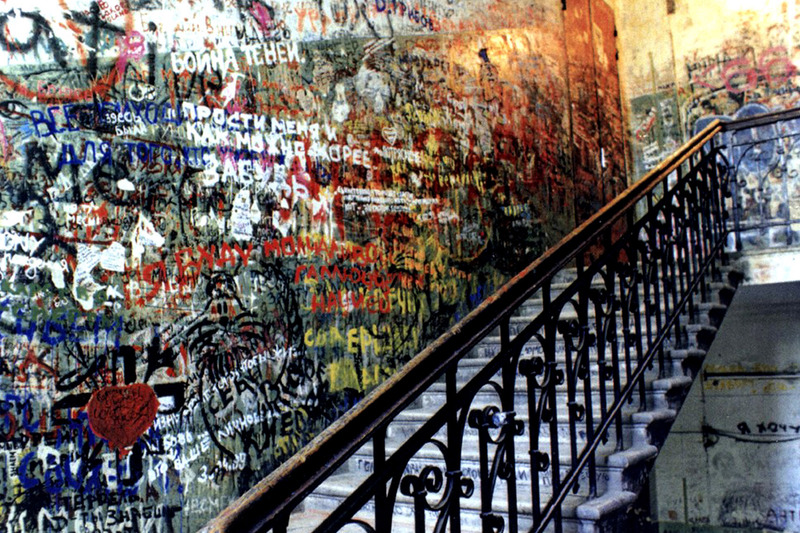 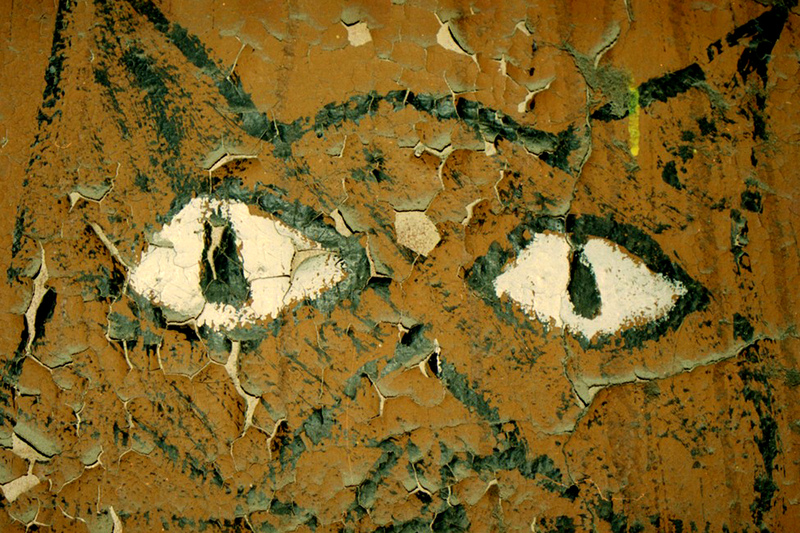 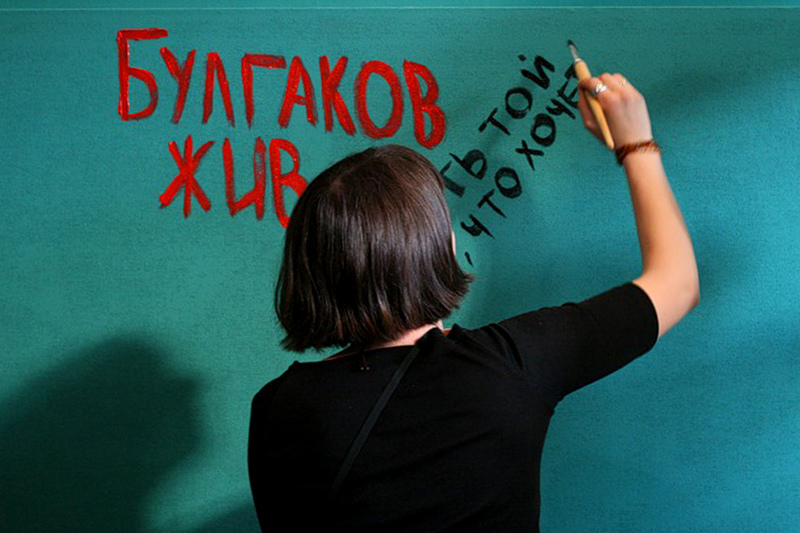 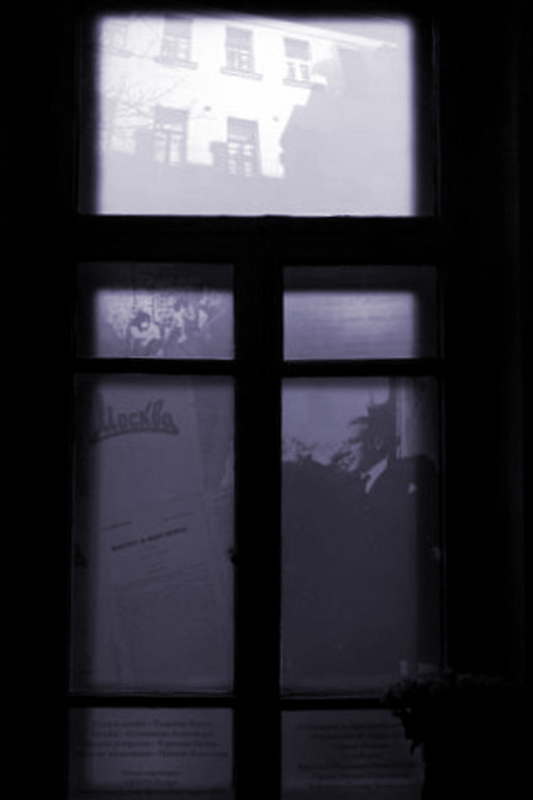 The walls of the staircase were covered with drawings, quotations from Bulgakov's works, declarations of love to Bulgakov and his characters. 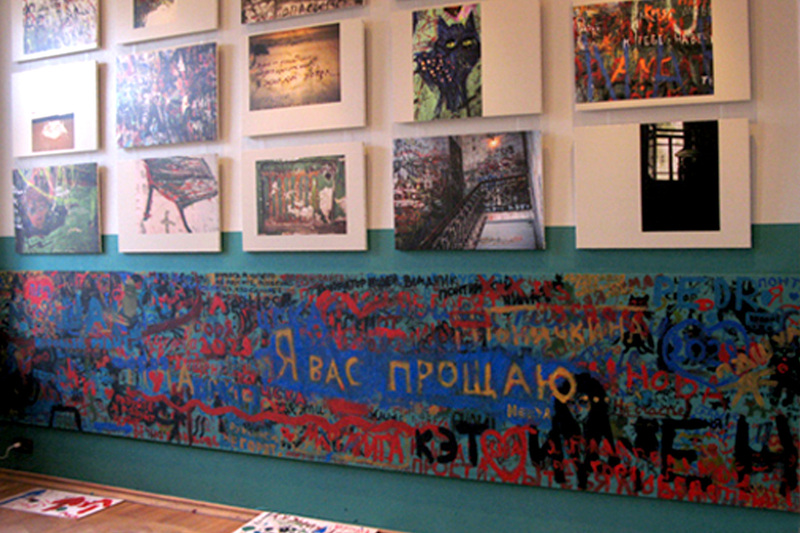 Exhibition Road to the Master was dedicated to the now lost graffiti and murals of Mikhail Bulgakov house staircase (so-called The Odd Staircase), painted all over during 1970-2000s by the writer's admirers. 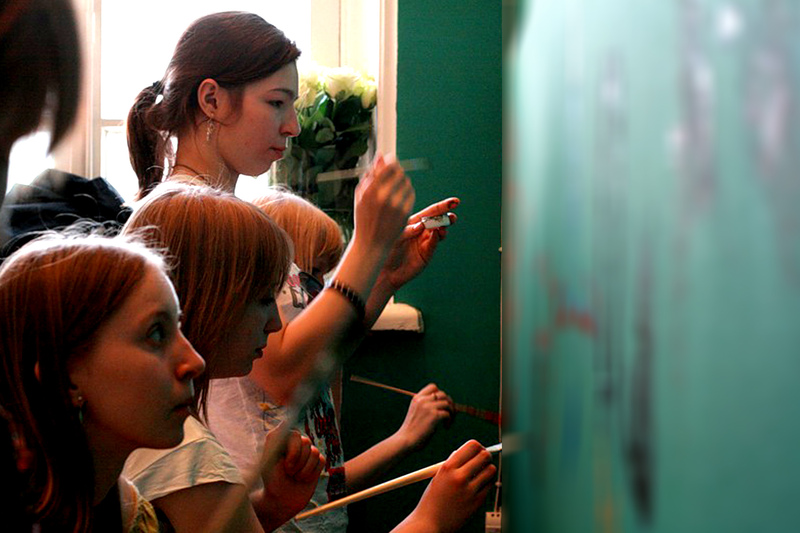 The project became the winner of the grant contest held by Moscow Department of Culture with the support of the Ministry of Culture. 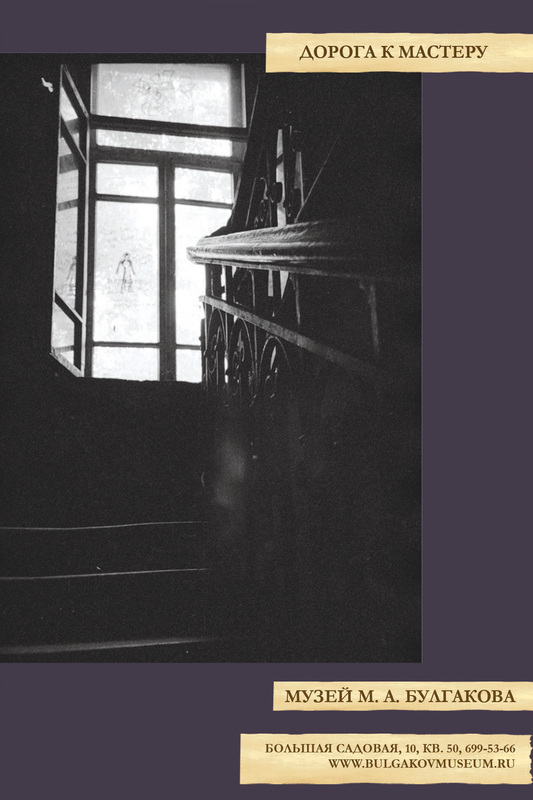 Tinted windows, low light and half pained walls of the exhibition hall reconstruct an atmosphere of a typical Soviet staircase inside the museum space. 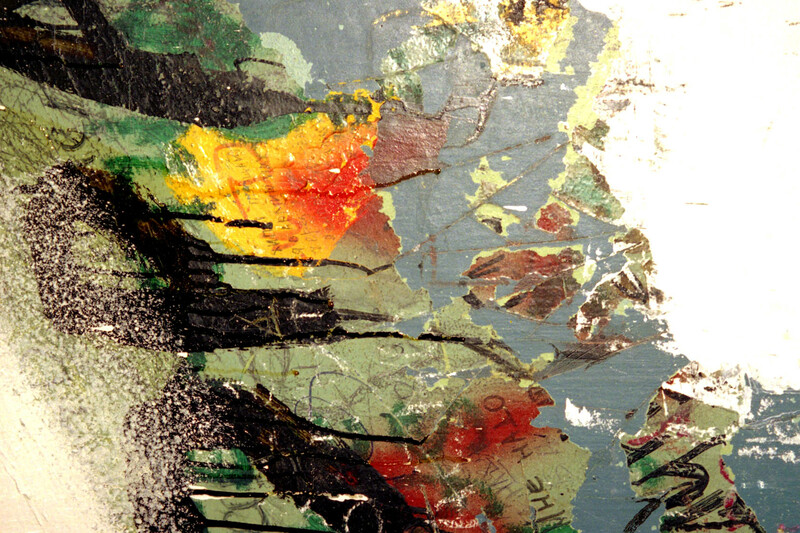 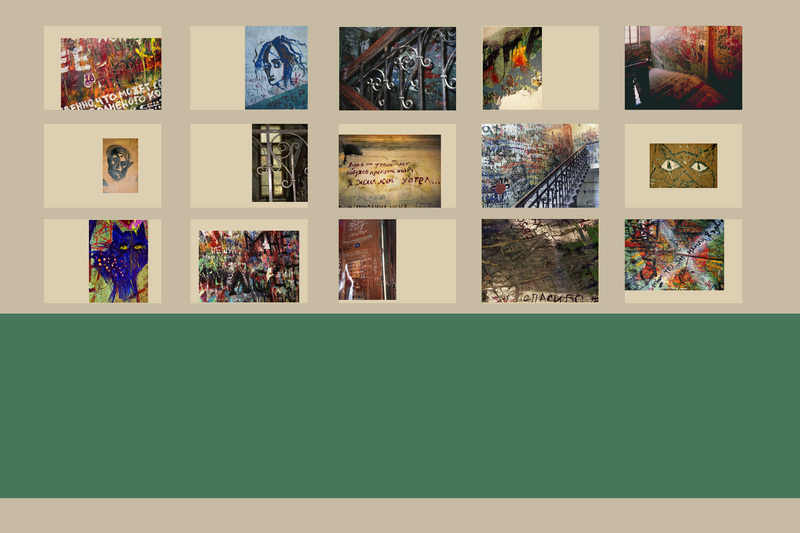 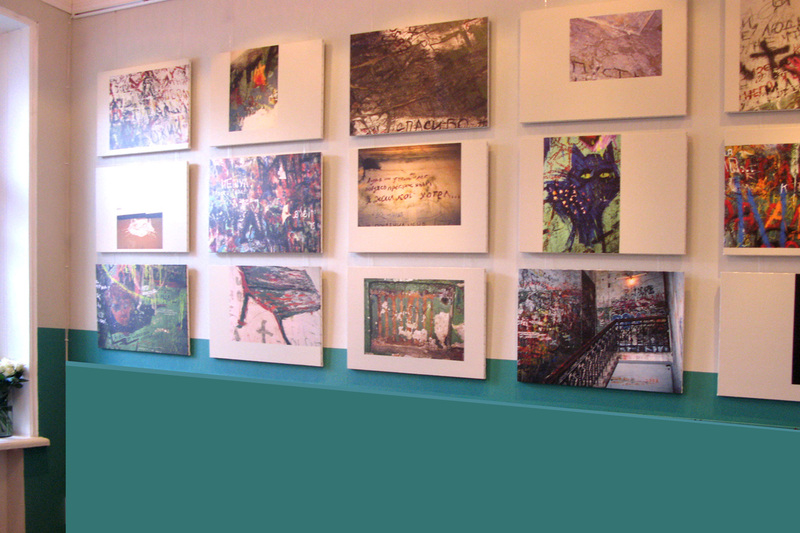 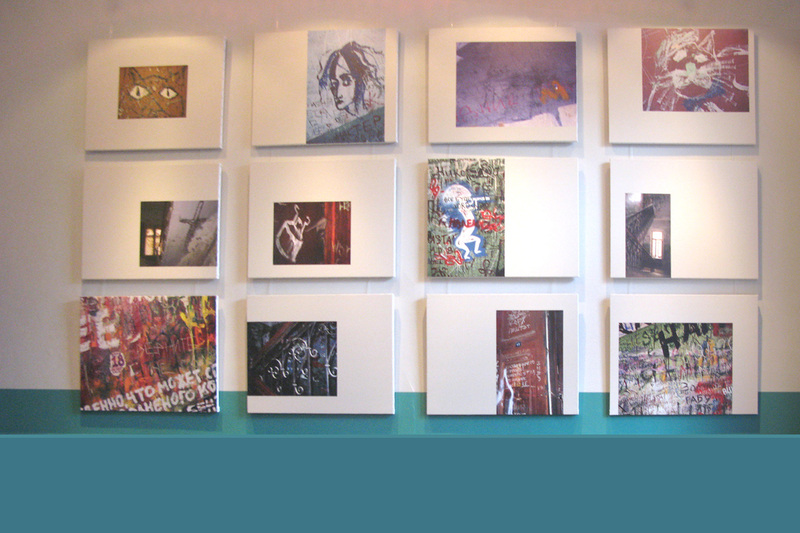 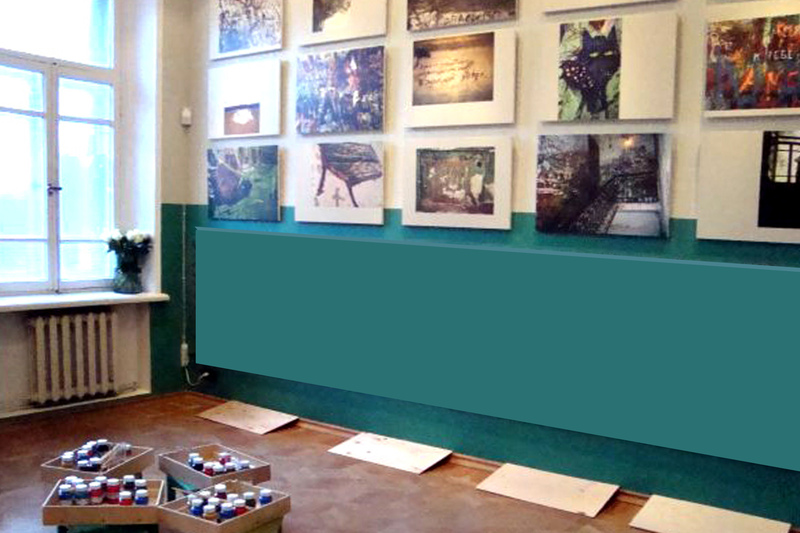 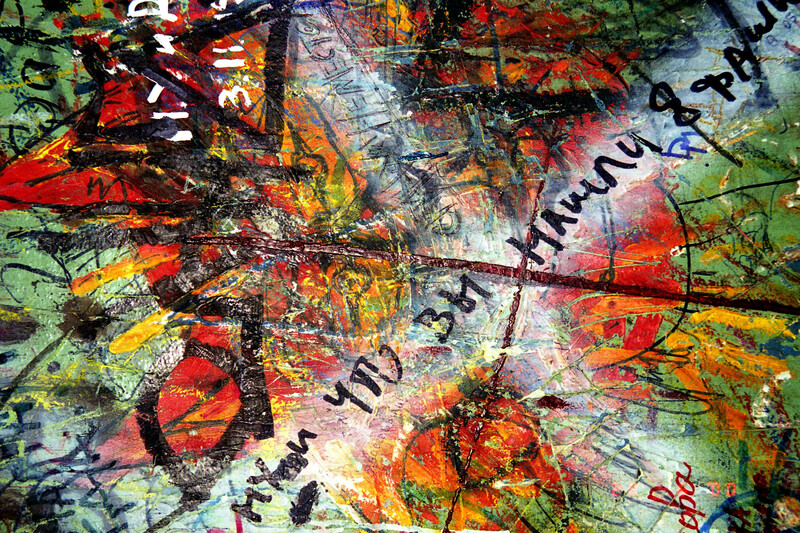 The visitors could also contribute to the exhibition expressing their love for the writer painting and writing on the canvases mounted along the walls. 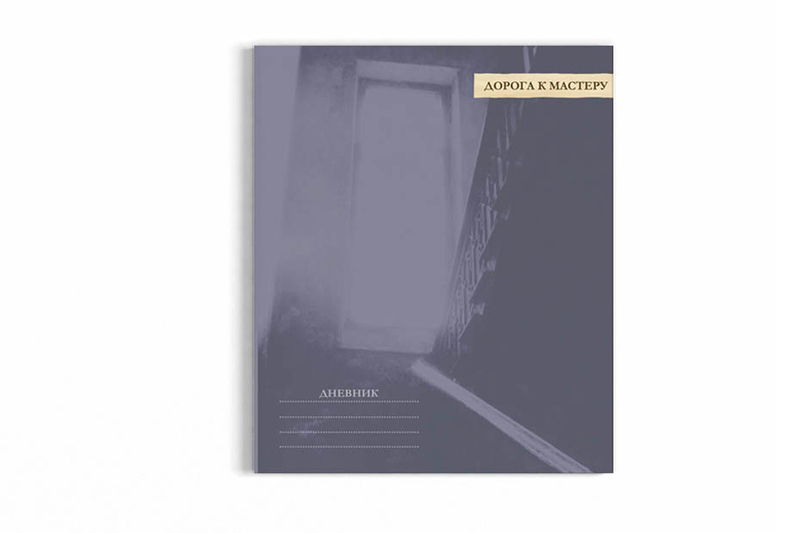 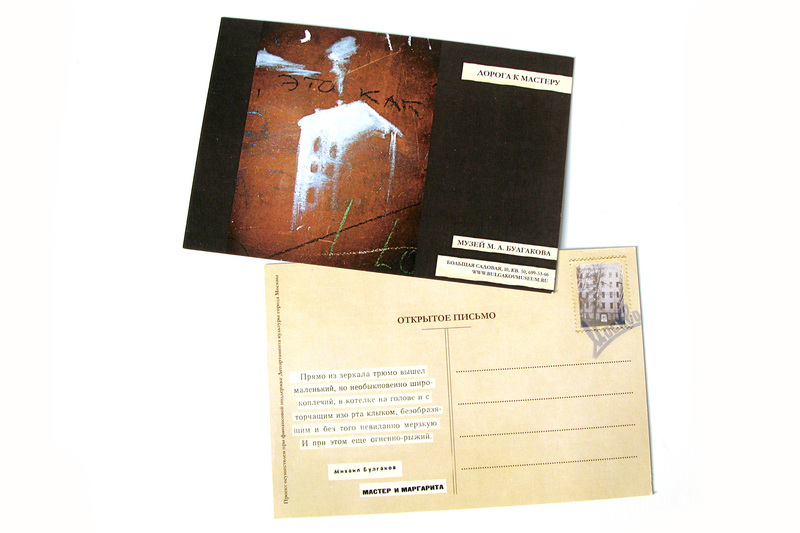 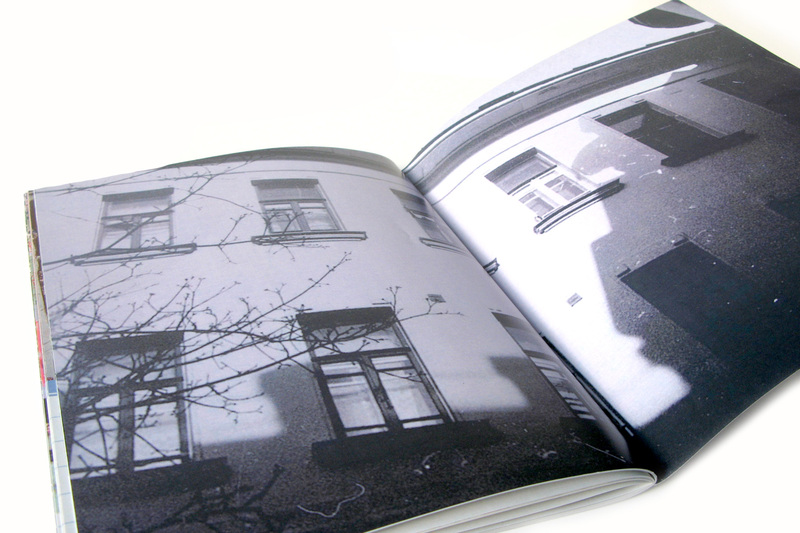 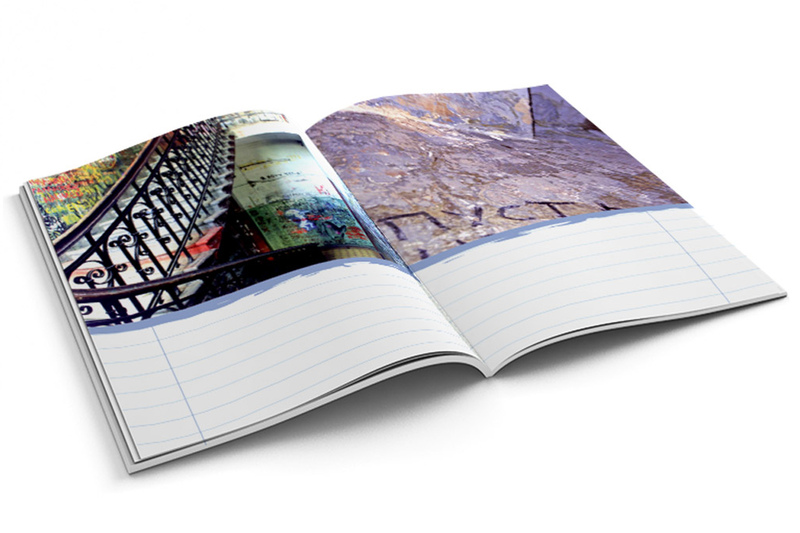 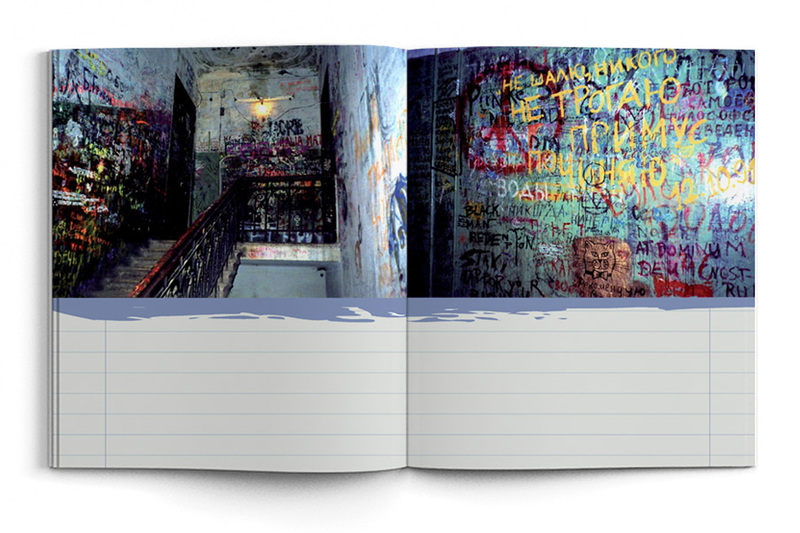 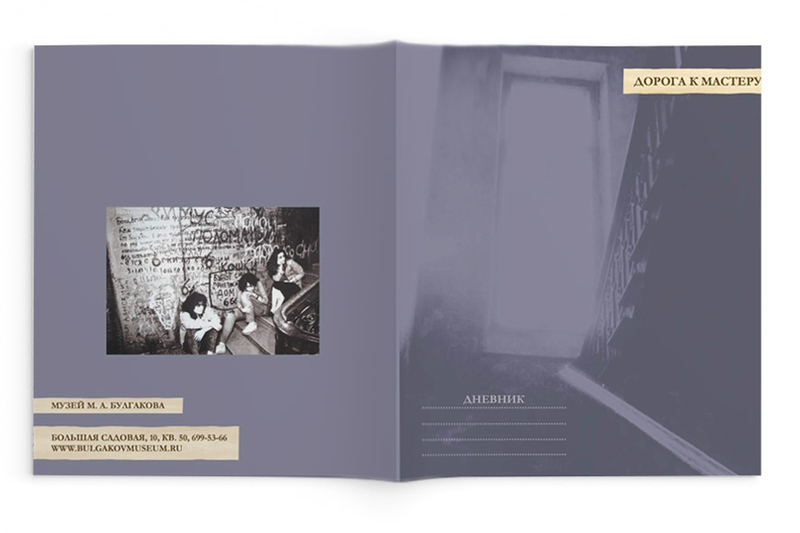 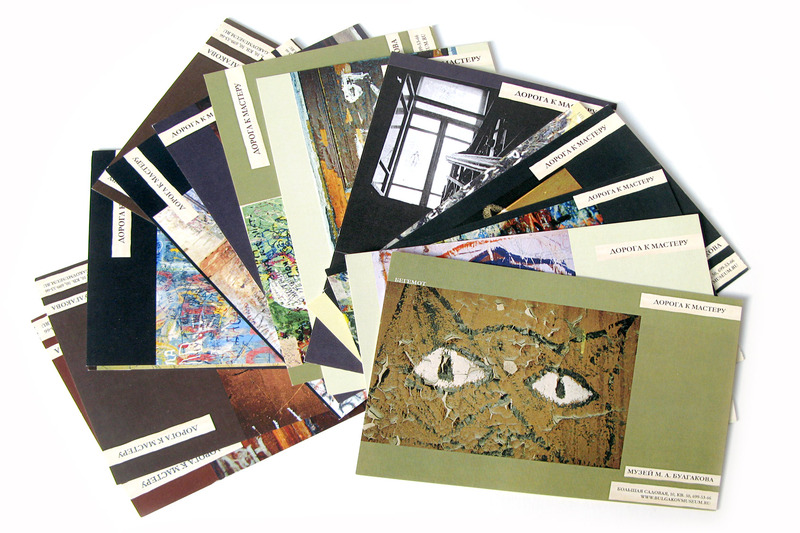 We also designed post cards with the most famous photos of The Odd Staircase graffiti and an exhibition catalogue, which can be used as an art-book or a diary. 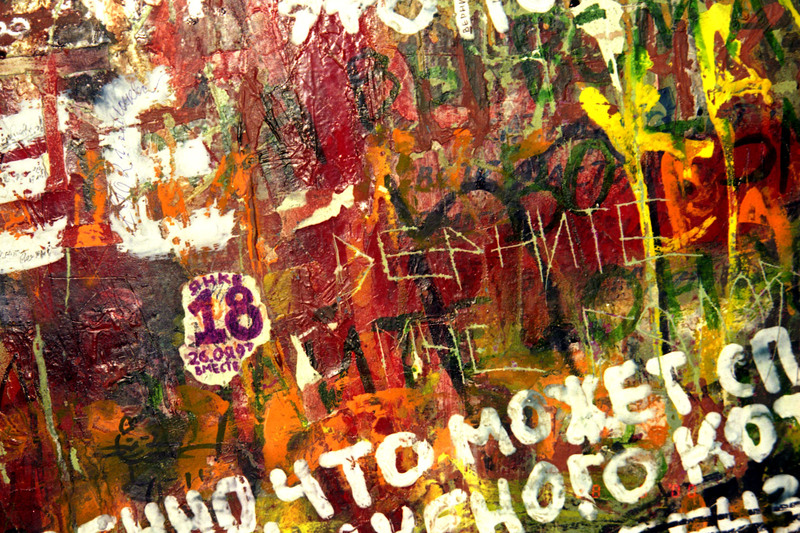 Collaboration with Elina Galtseva and Alexandra Selivanova.